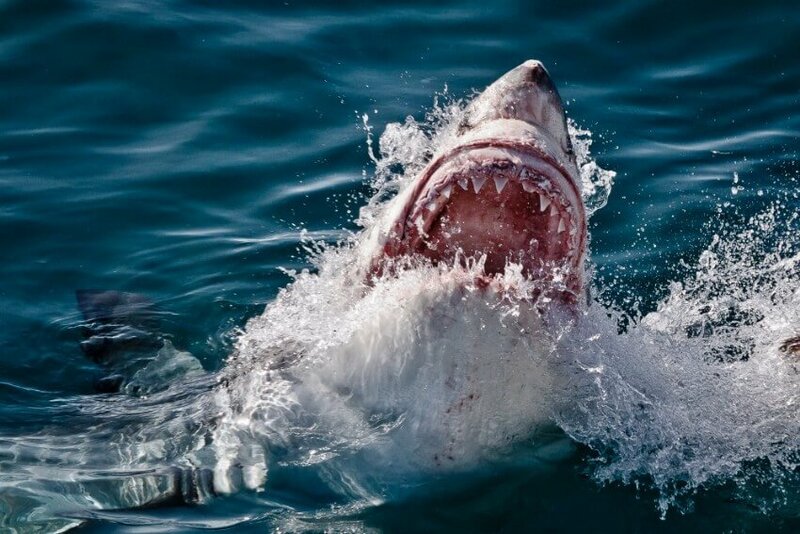 Have a once-in-a lifetime experience in the Great White Shark capital of the world! Get your adrenalin pumping with a shark cage diving trip that will allow you get to closer ever before to one of nature’s most enigmatic predators. The shark cage dive takes place out at Dyer Island, roughly 15 minutes by boat from Gansbaai – the Great White Shark capital of the world. The island is home to a colony of over 50 000 Cape Fur Seals – the White Shark’s favourite food and primary source of nutrition. Between Dyer and neighbouring Geyser Rock is a channel of ocean that is home to one of the densest White Shark populations on the planet. This is where we anchor for an up-close encounter with Great Whites. The cage is dropped at the diving site and guests are allocated diving gear. Guests take consecutive turns in the eight-man floating cage to experience thrilling underwater views of this majestic apex predator. 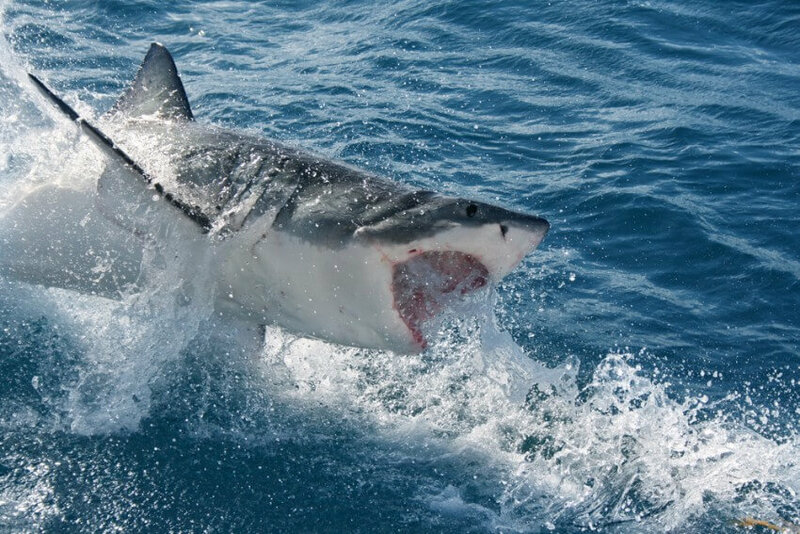 When not in the cage, passengers can enjoy sightings of the white sharks and other sea life from the viewing deck of the boat. The Great White Shark is a surface feeder and thus all the activity takes place on or very close to the surface, so surface viewing from the boat is excellent. We have a 95 – 98% sightings success rate across the year, although as with all wildlife, sightings can never be guaranteed.